On 26.09.2011, the Ghana Football Association published the squads for the GLO Premier League 2011-2012. I guess some fans of New Edubiase United FC had nightmares reading this squad because several players seem to be missing from the list. * The key players who are surprisingly missing are: Collins Addo, Abeiku Ainooson, Emmanuel Baffour, Saliu Iddrisu, Stephen Manu, Nartey Polo, Sekyi Quaye and Iddrisu Yahaya. * According to the great website http://www.footyghana.com, regular goalkeeper Collins Addo has joined Berekum Chelsea FC. * As far as I know, key defenders Abeiku Ainooson and Nartey Polo are still at New Edubiase United FC. In September, Polo played for New Edubiase United FC during the GHALCA Glo G8, a pre-season tournament. * Strong striker Emmanuel Baffour won many admirers after his five goals during the GLO Premier League 2010-2011 but I am pretty sure that he is still part of New Edubiase United FC. In September, both players played for New Edubiase United FC during the GHALCA Glo G8. 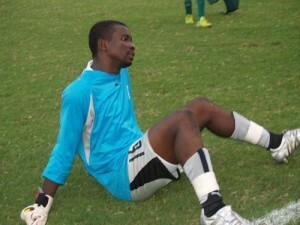 * I have not registered that goalkeeper Salia Iddrisu has left New Edubiase United FC. As far as I know, Iddrisu is still part of the club. In September, Iddrisu played for New Edubiase United FC during the GHALCA Glo G8. I also believe that goalkeeper Kwaku Ofori is missing from the squad list published at the website of the Ghana Football Association. * It is no secret that top striker Stephen Manu is unsettled at New Ebubiase United FC. Manu has been linked to Asante Kotoko FC and recently to Hearts of Oak SC. According to unconfirmed sources, Manu has recently travelled to Brunei for trials. However, as far as I know, Manu still is contracted to New Edubiase United FC. Manu scored seven league goals last season. * Midfielder Sekyi Quaye, sometimes referred to as “Sakyi Quaye”, was one of the revelations of the GLO Premier League 2010-2011. Quaye has been linked to Hearts of Oak SC and AshantiGold SC but as far as I know, he is still at New Edubiase United FC. In September, Quaye played for New Edubiase United FC during the GHALCA Glo G8. * On 30.09.2011, Ghanasoccernet reported that talented striker Abdul Basit Adam, also known as Adam Basit or Abdul Basit, had joined Sharjah of the United Arab Emirates. Adam is apparently 18 years old at the time of writing. * Based on the above, there are apparently several unsettled players at the club. However, it is also possible to confirm that some important players have left the club. Playmaker Baba Gullit (born 23.09.1987) has joined Liberty Professionals FC, the versatile John Arthur signed for Ebusua Dwarfs and the Nuhu-brothers, Alhassan Nuhu and Fuseini Nuhu (both born 20.06.1989) has travelled to Moldova and are now playing for FC Tiraspol. I believe that Michael Ocansey has travelled to Burkina Faso and the whereabouts of the experienced central defender Iddrisu Yahaya are unknown. * After this, I will focus on the players that are still at the club, as well as the new signings. The experienced and agile Eric Nii Baah, who has been out in the cold at Asante Kotoko FC, will most likely be first choice goalkeeper. The picture is of Baah and is taken from Ghanasoccernet. Central defender Richard Adjei will have to lead the defensive line together with Carlos Coffie, Abeiku Ainooson and the talented full-backs Ibrahim Moro and Samed Ibrahim. At midfield, I expect a lot from Asiedu Attobrah, the hard-working winger / attacking midfielder. Abubakari Mumuni, the Most Valuable Player during the GLO Premier League 2010-2011, is still at the club, despite massive interest from bigger clubs. Mumuni will be nothing less than fundamental to the team this season and I expect that he will form a strong midfield duo together with Sekyi Quaye. Emmanuel Baffour will have score goals this season. Winger Ebenezer Ofori is also a proven goalscorer. * Edwin Osei Pele (born 17.08.1988), the unsettled Hearts of Oak-striker, has been linked to New Edubiase United FC but nothing has materialized yet. * Kelvin Kusi-Poku (born 15.10.1990) and Alhaji Alhassan has been playing for New Edubiase United FC during the GHALCA Glo G8. Kusi-Poku is a former player of Tema Youth FC and Sporting Mirren FC, while I believe that Alhassan is the former midfielder of King Faisal Babes and Hearts of Oak SC. The two players are not officially registered at the club according to the Ghana Football Association so I guess they could have been trialists at the club. There are basically a lot of question marks surrounding New Edubiase United FC this season. If all unsettled players decide to stay, the club could be heading for medals. But if several key players decide to leave, I personally believe the club will struggle. Yussif Gariba, Paa Kwasi, Michael Abu, Kenneth Okang, Abuu Musah, Francis Gwamah Dassinor, Eugene Amoah, Jacob Bonsu, Samuel Akrugu, Evans Odoom, Godfred Dickson, Seth Afful, Ahmed Jibrila.